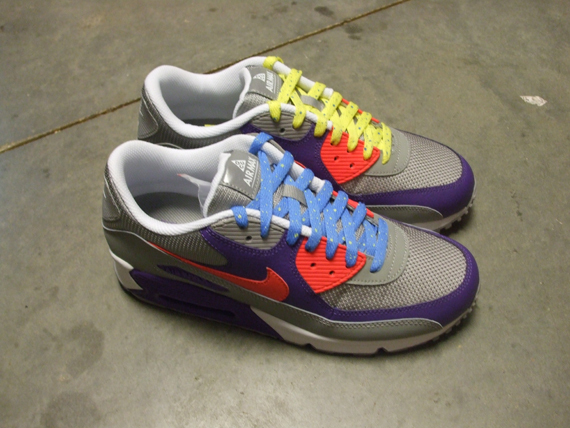 Now arriving at retailers is the all new "ACG Pack" Nike Air Max 90. After months and months of chatter and anticipation, the ACG Pack make up of the Air Max 90 is finally making its way to retail. Easily the most popular style of the entire pack, the Air Max 90 is the busiest colorway in the pack with the other models arriving in an an all black look. 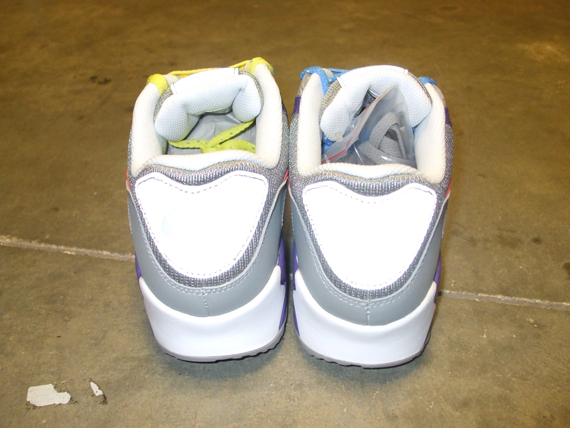 For the '90 we get a combination of varsity purple smooth leather and medium grey mesh throughout. Medium grey also sits on the smooth leather mudguard, with a hit of alarming red working the Swoosh and lower eyelets. 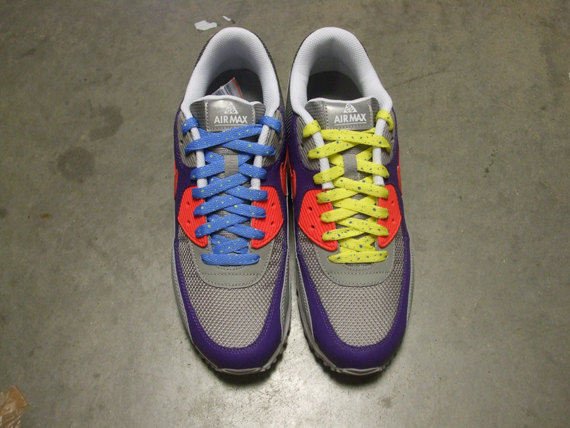 Blue and yellow laces are also included, with ACG branding throughout and a 3M heel badge adding a nice touch. Look for the ACG inspired Air Max 90 to arrive at select Nike Sportswear retailers soon.